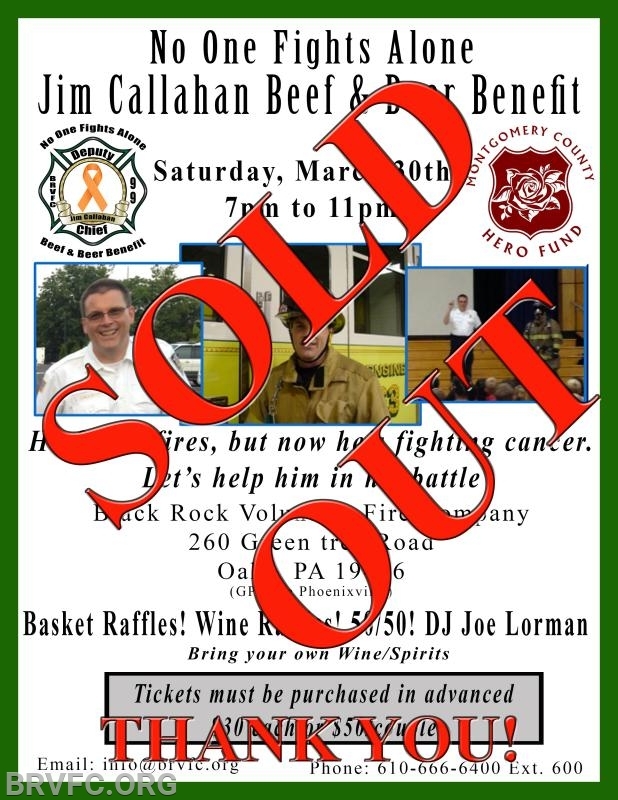 On behalf of Deputy Chief Jim Callahan, the Black Rock Volunteer Fire Company offers our heartfelt appreciation for support of the Montgomery County Hero’s Fund, the event Sponsors and Supporters, as well as all who attended for making this special fund raiser a resounding success. 100% of the proceeds were awarded to Chief Callahan. 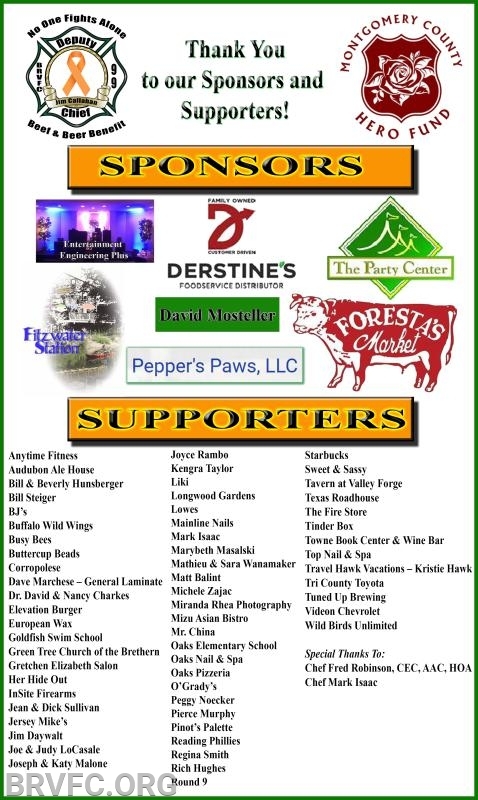 We request you visit the Montgomery County Hero’s Fund website for similar events.